Natural Color Ceramic Crowns. Painless Injection, IV sedation. Broken Teeth, Crowns, Bridges,Dentures. Extractions & Oral Surgery, Root Canal Treatment. Periodontal Disinfection. Children & Dental Hygiene, Gum disease and Decay Detection, Mouth Cancer Screening. Clear Braces, Invisaline. Botox Boulinum Toxin, Restylane Dermal Fillers, Laser Treatment for anti-aging. 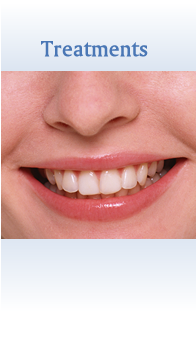 ▶Offer full range of high quality TRICARE DENTAL PROGRAM. ▶Designed by Award Winning Denist. ▶Comfortable operation room for dental implant and other surgery. ▶Latest Smile Design Cosmetic Dentistry. 1-5-4-4F, Zushi Zushi-shi Kanagawa Japan. 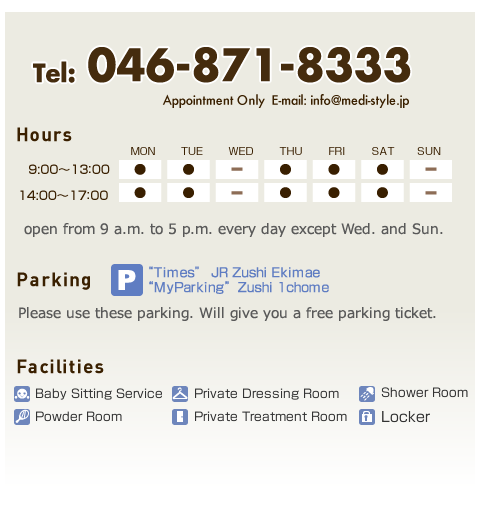 The clinic is in front of JR Zushi station. 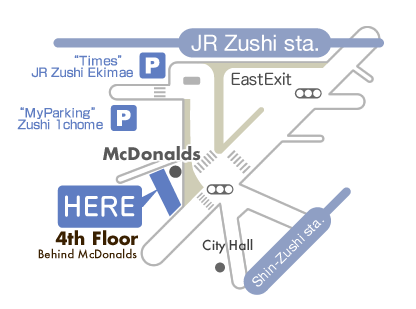 You can find McDonalds there. The clinic is in the building, behind McDonalds, on the 4th floor. For babysitting services available, please tell us when booking.